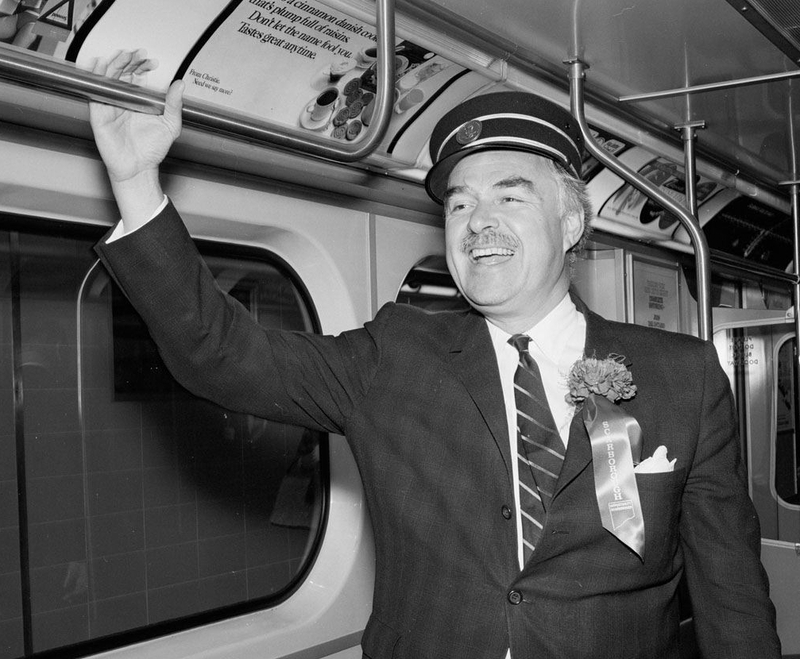 John “Chairman of the Board” Robarts donning a Scarborough ribbon at the 1968 opening on the Bloor-Danforth line extension. Image: City of Toronto Archives, Series 648, File 244, Item 42. 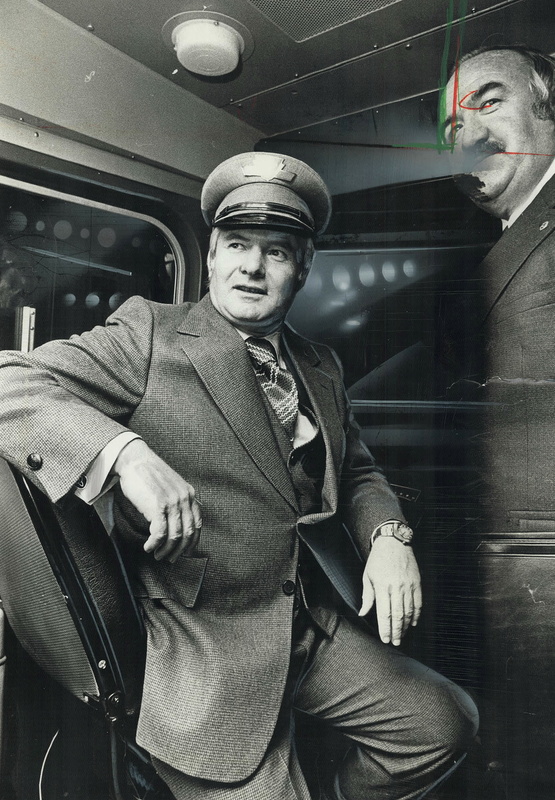 It only applies to two of them, but one of my all-time favourite genres of transportation related archival photo has to be the Ontario-Prime-Minister-Enjoying-Subway-Opening.1The Premier of Ontario was styled “Prime Minister” by Leslie Frost and John Robarts. Bill Davis changed it back to “Premier” when he took over the Pink Palace’s big chair in 1971. Fun fact: Bill Davis is the only Premier I’ve ever met. 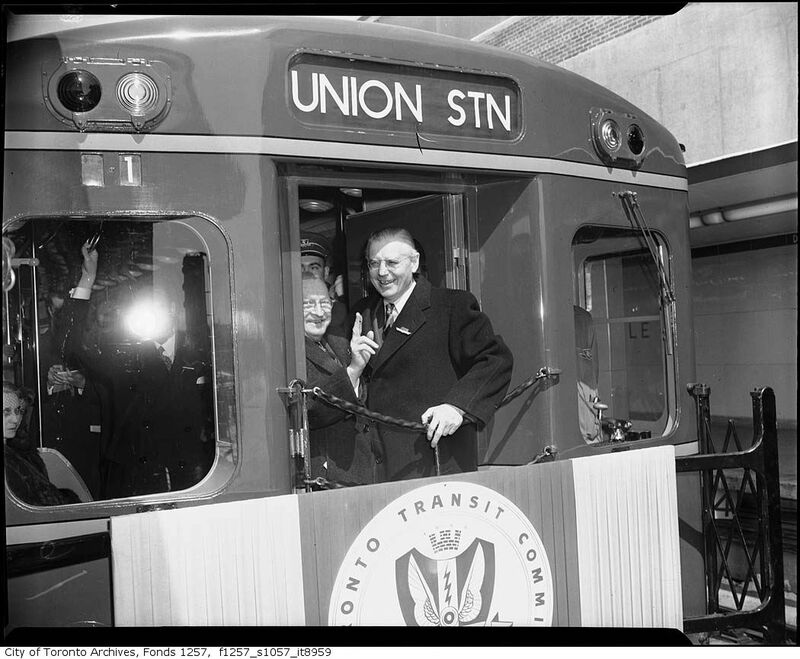 And here’s Leslie “Old Man Ontario” Frost opening the Yonge Street subway on March 30, 1954. Image: City of Toronto Archives, Fonds 1257, Series 1057, Item 8959. As a bonus, here’s Bill Davis in a double-exposure opening the Spadina Line extension in 1978. He doesn’t look quite as enthralled as his predecessors did. Image: Graham Bezant / Toronto Star Archives / Toronto Public Library, TSPA 0042559F. 1. ↥ The Premier of Ontario was styled “Prime Minister” by Leslie Frost and John Robarts. Bill Davis changed it back to “Premier” when he took over the Pink Palace’s big chair in 1971. Fun fact: Bill Davis is the only Premier I’ve ever met.